Three siblings meet each other after a span of seventy years at Gurudwara Janam Asthan, Nankana Sahib. Three siblings got separated by fate and now after seventy years have been united by destiny. Wondering if this is a plot of a new film? You are wrong. This is the story of two sisters who met their brother recently. An emotional reunion of three siblings happened at Gurudwara Janam Asthan, Nankana Sahib. Two Muslim sisters were reunited with their Sikh brother from a village near Dera Baba Nanak. Their meeting was emotional as Ulfat Bibi and Mairaj Bibi hugged their brother Beant Singh tightly. The meeting was especially symbolic as they were meeting each other after seven decades. The trio were actually inhabitants of Paracha village near Dera Baba Nanak. The family was migrating to Pakistan during Partition and they lost their son and daughter during the turbulent times. Allah Rakhhi, the mother contacted their former neighbour, Sardar Makhan Singh and came to know about her son’s whereabouts. From that time onwards, the brother had been maintaining contact with his sisters with the help of letters. This year he finally got to meet them face to face as part of the Sikh Jatha from India to attend the 549th birthday festival of Guru Nanak along with his friend Sardar Nerpal Singh. Ulfat Bibi had mentioned that she should be allowed to travel to India to meet her sister-in-law, nieces and nephews. Ulfat and Miraj have also appealed to Pakistan Prime Minister Imran Khan to extend their brother’s visa. India and Pakistan have now decided to open the Kartarpur corridor to help the Sikh pilgrims to visit the Kartarpur Sahib, the final resting place of Guru Nanak. 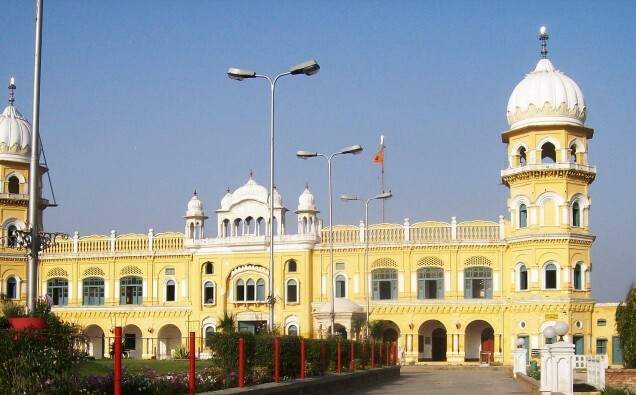 The gurdwara is about 4 km away from the Dera Baba Nanak shrine, and can be seen clearly from the Indian side.